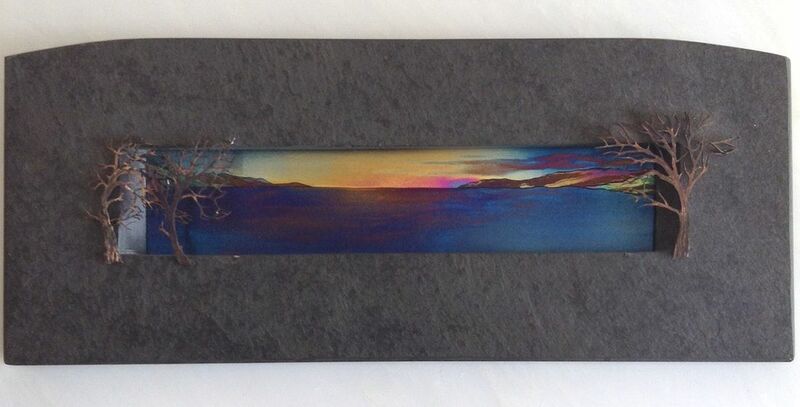 Titanium seascape set in slate with bronze trees. 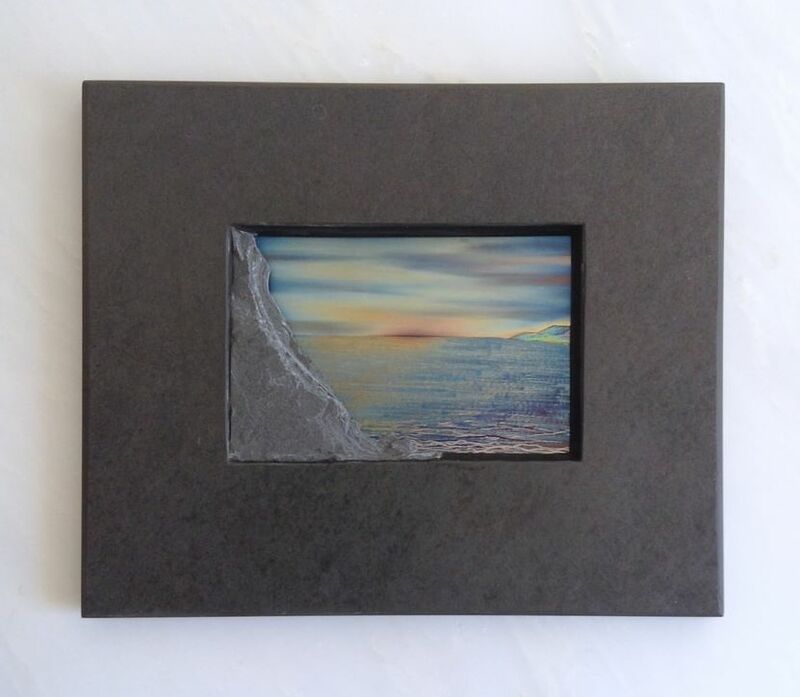 Titanium seascape set in slate. 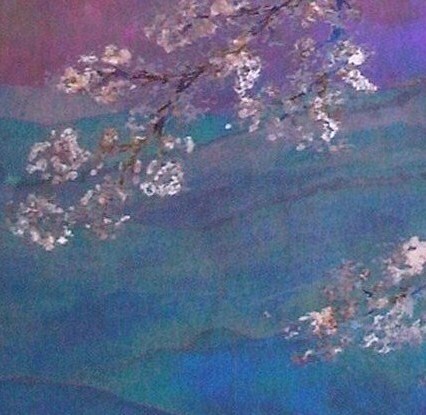 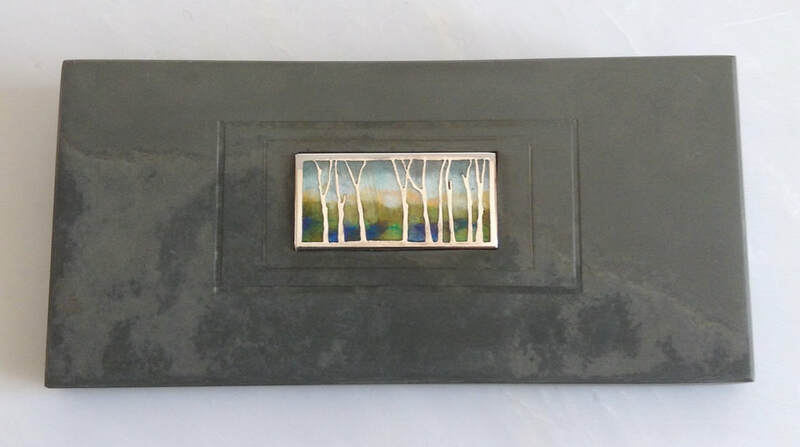 Enamel landscape with fine silver trees set in slate.